The Fierce 50 Campaign is the brainchild of Catherine McCormick and the intention "is to put a new, fresh frame and perspective around midlife and beyond. We feel that midlife is a powerful time in a woman's life and we are more vibrant than ever before." Let me just say here and now that I totally agree with what is outlined as the intention of the group. I think Midlife women are becoming more visible and Midlife bloggers are getting noticed more these days - which is a wonderful thing. We're not invisible and we're not fading into the background like the generations before us. 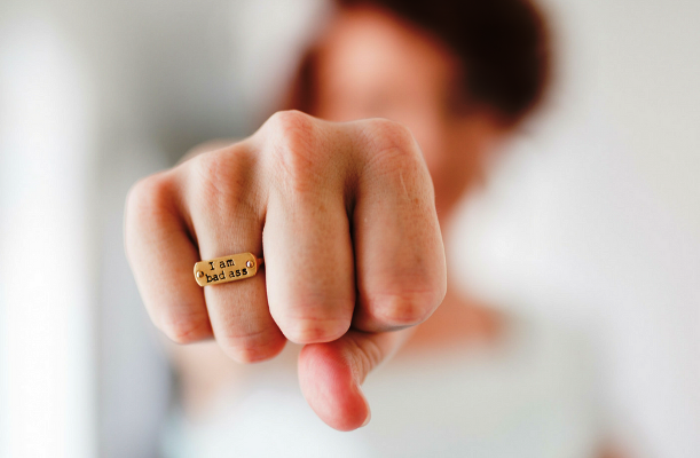 Any campaign that gets Midlife women recognized and valued is worth its weight in gold - and the Fierce 50 Campaign is certainly getting noticed - there are over 5,000 members in their Facebook group alone. There are multitudes of glamorous, youthful, gorgeous women who belong to the group and who are leading the charge in showing the younger generation that you can still be fabulous, cool and fierce after 50. But, there are a lot of Midlife women who don't want to be "Fierce" there are a lot of us who still scrub up well when we put our minds to it, but aren't fashion plates, or as gorgeous as we were at 20. We don't wear makeup every day, we don't have hair that looks like it has just walked out of a hair salon, we don't have perfectly toned bodies, or photos of ourselves with a golden glow and a perfect smile. We are still rocking Midlife, but we're definitely not Fierce. There's a well known song by the group Moving Pictures that asks the question "What About Me?" and I have often hummed it to myself when I felt like I didn't fit into expectations, when I felt a bit on the outer. I joined the Fierce 50 FB group for a short time, but it just wasn't "me" I couldn't relate to the women who posted gorgeous Instagram filtered photos of themselves - I don't even have an IG account and wouldn't know a filter if I tripped over one. I kept thinking - what about "me"? I'm just "me" trying to make the most of this great stage of life. I'm doing my best to find the positives in my empty nest, having more time to myself, working less, blogging more, and generally learning to be at peace with myself. I'm not good with putting myself out there and being in the front line. I'm not glamorous, or taking on the world, I'm not even a fan of loud and proud. I'm kind of happy just to slide into wanting to be warm and gracious - with a little twist of fun. Maybe Midlife is different for all of us. Some are fierce and giving the Millennials a run for their money, some are happy to "embrace the grey" (another big Midlife catchcry), some are content to live quietly, some are climbing mountains and hiking trails, and some are like me - just being themselves and doing their best to enjoy this age and stage. 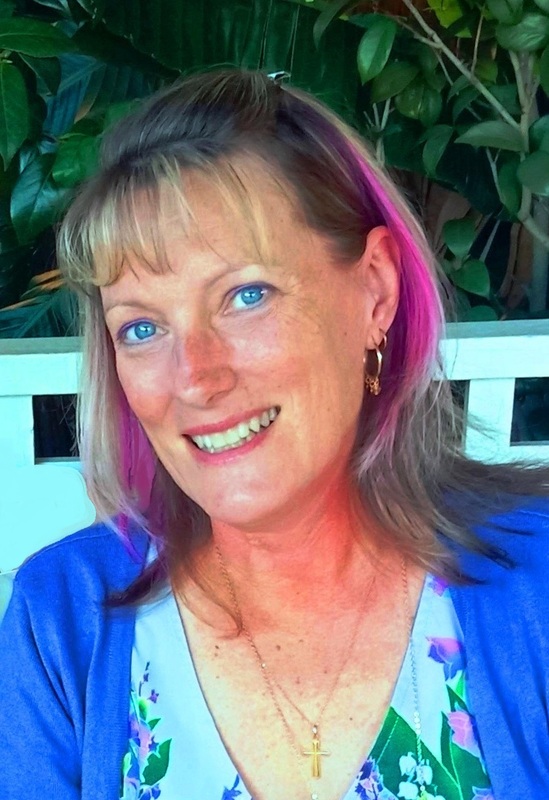 One of the joys of Midlife is the opportunity to discover our authentic selves. I was a little concerned at first that I felt "less" by seeing all these women who look better than I did at 20 - they look amazing and I fell into the comparison trap. I'm old enough and smart enough to know that wasn't a healthy response on my part and that I needed to step away from comparing and the answer for me was to leave the group and focus on groups that I can relate to. They are fabulous and fierce - but they're not "me". The answer for me to the Fierce question is that it's great for thousands of other Midlife women - but not for me. I'm going to focus on being true to myself and leave others to do the same. I'll follow the Campaign with interest, but also realize (as I'm sure they'd agree) that it's not for every Midlife woman. For me, Midlife is about learning to be more compassionate, to be warm, to be kind, to be less focused on my outer attributes and more interested in my soul. I really hope that the legacy I leave will be that of a woman who cared about others, who invested my time in family and friendships. I'd still like to think that I can represent this stage of life with a smile - but it might not be quite as fierce as others can achieve. Are you an advocate of being Fierce after 50? Or are you a more mellow soul? 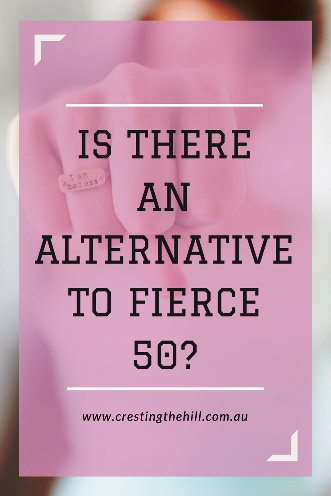 Does the Fierce 50 Campaign inspire you or are you more focused on another aspect of Midlife? I'm really interested in hearing what others have to say about this. For me, it's not about one thing or the other - it's about Midlife offering so many different alternatives - something for everyone! It sounds awfully competitive for no real reason. I'm not a competitive person - I want to have space and downtime and choose what I want based on my values, not others values. I think that's kind of what is on my heart too Vanessa - I like that there is a group who are being fierce, but it doesn't resonate for me and what I value - I wonder if any group ever will? I struggled with the "you're so beautiful" comments that were so prevalent too - the introductions posts of new members were becoming so glossy that I couldn't relate to them - it felt like I had to be a glamorous fashion plate who was either at the gym or out somewhere completely done up and taking a selfie. Neither was a fit for me, so it was time to leave before I felt diminished or resentful. We definitely need an alternative and will have to brainstorm! Thanks Hannah - I'm really trying to find a good balance in what Midlife represents for me - there are elements of looking after yourself physically and being healthy and happy and working with your assets, but there is also the developing of the more spiritual aspects too - graciousness, kindness, compassion, and it's those things that really make someone beautiful - not an IG filter or an expensive outfit. I don't want to compete with women my daughter's age - I want to be a mature woman who has warmth and wisdom as her priorities. Fabulous Fifties sounds like fun Shirley - I think Mature and Meaningful Midlife is more my speed. I want to develop the inner me rather than buffing up the outer me. Serene Seventies sounds rather nice! I agree with Shirley Fit & Fabulous Fifties sounds good but let's not stop at the 50s! We are Fit & Fabulous with an Ageless Attitude! Leanne, I was relieved when I read to the end of your post. I thought for a fleeting moment that you were going to extol the virtues of "fierceness" in midlife, but thankfully no! I find the whole concept of pursuing fierceness and glamour appalling (mind you, this is the first I've ever heard of the campaign, so I could be way off base........). Like you though, I want to become more kind, more thoughtful, more compassionate, more giving and encouraging, more wise, more submissive (I know!! ), more calm, more loving, more gentle in spirit - the antithesis of "fierce", in fact. I want to slough away all my rough, potentially "fierce" edges (and I still have plenty........) and be the woman God has designed me to be. Thanks for a thought-provoking post!! I understand the appeal for women who have felt like they've played second fiddle all their lives Sue, but for me, having my moment in the sun and learning to put more focus on what makes me happy, doesn't mean being fierce. It is about developing more Godly characteristics - fruit of the Spirit - goodness, kindness, peace, warmth, thoughtfulness - so many character traits that I want to grow in - while still doing my best to hold the outer shell together in a way that makes me smile when I face the world. I love this stage of life - I don't have to defend it or make a "statement" thank goodness. I'm more of a mellow soul.... 2 years past 50 here. I'm working on mindfulness, living 'slow', gratitude and being the best me I can be, so others get the best of me as well! I'm an introvert so love my space and time to ponder and think about all manner of curious things. I think I resonate more with the words 'gentle yet strong' rather than 'fierce'. 'Grace' is also a word I love in relation to what I'm aspiring to be. I'm so with you on this Linda - I even popped across to your blog to say Hi because I think you get what I'm trying to say. Fierceness obviously works for a lot of women, but there are just as many who are happy being quieter in their approach to life. It's not all fashion, glamour, fitness, and attacking the world - it can be about being content in yourself and who you've become and allowing that peace to centre you. I think there are women who need to feel they are part of an empowered movement Yam - it lifts their spirits and gives them purpose. I don't have it in me to live at that speed and with that approach. I want to be slower and kinder and live and let live. Grace and peace and giving the benefit of the doubt work for me atm. I joined the 'fierce' Facebook group recently to see what the fuss was about, and it's interesting to see the different perspectives on midlife. I, like you, don't flaunt my style to the world with my girlfriends. That's not who I am. Am I fierce? In some ways, yes, but I approach life and social media in particular in a more subtle way. That's who I am. Thanks for another great post. My husband says I can be fierce too Candi - I get the idea behind it and why it appeals to a lot of women. It just didn't ring true for me. The more I read, the more I felt like it wasn't a good fit. I'm a down to earth Aussie who doesn't even use IG - let alone know how to take a decent selfie. I don't sit in my car making videos of myself or taking pictures. I think I'm more internal than external and couldn't keep up with people who approach life so differently to me. What the movement, I think, is helpful is for women who feels turning 50 her life is over compared to younger women. Embracing our age is always good. Like you wisely mention not every movement is right for every person! I think Midlife for me has been a gentle unfolding - a bit of a revelation that I'm doing okay and I don't need to think about 20 or 30 year olds and what they're doing or what they think of me. They're my daughters - not me. I like 'me' and I like not having to live at that level of self involvement - I really need to think of an alternative to being fierce! I think mellow and comfortable in my own skin would define where I am at. I decided a while ago I liked me and that was a nice feeling! I'm much the same Dorothy - I just feel content and happy with myself in my natural, un-IG'd self. The physical beauty side of things isn't my focus - it's inner beauty that I'm more interested in these days. That quote is fantastic Diane - similar to the one in my post, but even better! I think Midlife is definitely about being our best selves - for me that's not about being fierce - so I couldn't connect, but maybe for others it's exactly what they need. Isn't it great that we have choices? As you pointed out, Leanne, the most important thing is to be authentic to who you are and to be comfortable in your own skin. If you are tough, great be tough (but hopefully still kind)! If you are tender, be tender (but hopefully still strong). In addition, different circumstances sometimes require us to rely on different parts of our self. Thanks for another thought-provoking post. I think that's the secret Christie - it's about being authentic to true self - by all means find new ways to grow, but you don't have to fit a particular subset to be true to Midlife. I feel less fierce these days and certainly being glamorous holds no appeal - but I feel more 'empowered' these days than I did in all the years leading up to now. Empowered is the perfect word! I think I'd struggle a tad with that. I think mid-life is about being you - in all your non air-brushed glory...or with filters applied if that's your thing. Sometimes these groups can get a tad competitive - it feels as though there's not as much distance between us now & playground politics as we'd like to think there is. I just couldn't relate to the way these women were presenting themselves Jo - I felt like Cinderella (before the ball!) and it didn't do me any good to wake up to all these full-on women in my FB feed every morning. It didn't enrich my life so I moved out and left them to being fierce without me. It's great for them, but not for me. I agree with you though - it's all about being true to yourself. I went to choose a word for 2018 and I couldn't settle on just one that said what I want to strive for this year. So I chose three! Authentic, Action, and Joyful. And I think the authentic part addresses that. There may be times we want to lean a little more towards fierce, and times we want to be in the mellow-yellow crowd. As long as we're being authentic and doing what reflects is in our soul. "to be less focused on my outer attributes and more interested in my soul." What I love is that it can be different for all of us - but I really don't want fierceness to be the only representation of Midlife women that social media presents to us. Admittedly I'm not familiar with the group, but it sounds like they're still trying to prove something to themselves and others. While there are some things about which I'm fierce, like my family and causes I believe in, outward beauty is not one of them. Who we are as individuals, with all our strengths and weaknesses and individuality, is what makes us each beautiful. That's how I see it too Laurel - I want to focus on growing my character and my soul - becoming more confident in who I am - not what I look like. I'm all for looking my best - but not making that my focus. I don't have to be brandishing my fist to the world and saying - I'm Fierce! I'd rather quietly win people over with a laugh and some kindness. Hi, Leanne - This post is filled with great gems of wisdom (as usual). I don't know very much about the 'Fierce Campaign' and have not been following it on FB. I do agree that Midlife offers many great options - something for everyone! Living life authentically, and being true to yourself, is important at every age and stage -- especially Midlife. That's what I think we should embrace. I completely agree Donna - and there must be a lot of women who want to be Fierce in their 50's or the campaign would never have taken off. I'm just not one of them - I couldn't relate at all to these women who were so "put together" and fashion/beauty focused. I'm happy being my little ordinary self, living a life I love - so being fierce just didn't resonate with me I'm afraid. I agree I’m not fierce. I hate makeup and probably only wear it two or three times a year. I just want to be myself and feel comfortable in my own skin. I'm with you Rena - I wear makeup for work and if I'm going somewhere special - the thought of putting it on every day and making sure my hair was perfect and my outfit was co-ordinated, just gives me a headache to think about. I'll settle for being less than fierce - but happy in myself too. I recently went for coffee with a friend who works for a gym. She was encouraging me to join. She began telling me about acquaintances who are kickboxing and running marathons. I told her I would love to, but severe arthritis in my feet keeps me from doing anything that causes repetitive or high impact to them. It was so strange. She wouldn't look at me after that and abruptly ended our outing I haven't heard from her since. I love empowerment and letting mid-life be our best life. But when we feel like we can't measure up to an arbitrary measuring stick, it's not very empowering. The whole gym membership thing has taken on a life of its own in the last decade or two Heather - I don't understand the appeal of exercising in a room full of sweaty strangers - give me a pleasant walk in the fresh air any day! And if friends don't accept me for who I am and the journey I'm on, well they disappear into the ether! Hi Heather we can still be fit and fabulous without marathons or the gym (even though I do both). Finding something you enjoy that will get you moving - there are endless activities, eating well and being happy are the three ways to keep healthy in my book! Being a male who is about to be 50, I would rather not be fierce but just enjoy the world around me. Of course, my ortho looked at my knees the other day and to me that he has seen better knees on a camel. So, I guess that limits that. I feel the same way Alicia - I like that I'm becoming more "me" every day - being concerned about the opinions of others is fading away. Dressing to impress, or competing with younger women is so unappealing. I'm happy for those who want to prove a point, but that point doesn't belong to me and I'm relieved to not be a part of the process. You have a lot of commenters Leanne! I am aware too that you have an international audience. Let me say "I do not need to be fierce because there is no way I retreat but there is also no way I need to push myself forward"
I have confidence returning after some years of illness, I have a great history of achievements via my career, I have co-raised a family and helped with grandparenting and I need nothing more to lift me ...I like my life and also like the anonymity as it suits me. Thank you for linking up for #lifethisweek 21/52. Next week's optional prompt is "How Did My Blog Start"
I'm glad so many feel the way I do Denyse - I was really worried that there was a revolution happening that I didn't want to be part of. I like that there are just as many of us happy in our own worlds being un-fierce. Oh, I can be fierce baby...but not in a fashion anything kind of way. I rarely wear make-up or earrings or anything other than yoga pants these days. I wore Birkenstock's before they were fashionable and would rather hike (even with a bad back) than wear a heel over a 1/2 inch for any length of time. And, as gracefully as I can, I'm letting my gray grow out. Funnily enough, a 20-something complimented me on my hair color the other day. I'm assuming she though I was doing a gray and blonde reverse ombre for fashionable reasons. Love your reverse ombre Jennifer - you might be setting a new trend - I'm considering calling my little bits of grey "silver highlights" I pay enough for blonde ones - the silver ones are free! Leanne I am so glad to read your post about the Fierce 50 I thought I was the only one who felt like this group doesn't represent me. I am fierce in my own way living my life the best I can and dealing with what life throws at me. I am not concerned with looking 25 in my 67 year old body. I don't need to wear mini skirts, goggle glasses, spiked purple hair or any of the number of other things I see on a regular basis to show the world how fierce I am. It is good that we can all be free to do what suits us best at this wonderful time of life. Victoria you are right on the same page as me in this - it's just not "me" either - so much focus on the outward and I just don't want to be part of that - it's such a relief to find others who felt the same way when they saw it too. Another thought provoking post Leanne and great way to kick off this week's #MLSTL party. I'm sharing everywhere and I loved the responses from other fabulous women Over 50. Thanks Sue - it's been an eye opener and a relief for me to see so many who have similar takes on this - I'm not alone in my non-fiercity! I've found in my 50's I've softened and slowed down! I actually don't want to be fierce and competitive and driven anymore. I'm not familiar with the group but have seen another one that is similar, about "making a statement" in this next life stage. I just can't relate, but assume many can. The wonderful thing I'm learning is that everyone needs to find their own authentic self... whether that is being more fierce or being more soft. And I think there is a tribe in either camp. I'm the same Pat - I have fought the good fight and now I'm happy to leave that to the younger generation and rest on my laurels for a while. If other women want to continue the fight and competition then that's fine, but I just don't want to be part of that movement. Fierce 50 sounds a little combative to me, and yes, I'm more of a mellow soul. I don't really condone the all guns blazing approach, but tend to rather gently dispute and compromise as a way to move forward. But hey, everyone's different and those who want to be fierce are maybe the 21st century warriors. Everyone faces Midlife differently don't they Jo? Maybe some need to be rallied to find their inner warrior. For me it's about finding my inner "me" the person who I truly am under all the layers that I've had added to me over the last few decades. I get so excited when I feel real - so I don't need to add another title to my list. I thought I was the only one! I know a number of women in this group and one of the organizers. I admire them greatly. And I think they are trying to do a great thing. It's just not me. I am exactly the same Cathy - I know several bloggers in the group and admire them hugely - but I just didn't fit in with what I was reading in my feed each morning. It focused on areas that I felt lessened by - so easier to leave and go where I was more at home. I haven't followed the Fierce campaign or the FB group, Leanne. I have people I admire and hang out with IRL that I haven't felt the need to go to the FB group. Hi Leanne. You are being very kind, as is your style, when you talk about people taking different approaches to midlife. I agree with you in principle, but when I dig deep I realize that I'm suspicious of people who seem to define being 'fierce' as being younger - younger looking, younger acting and yes, perhaps a bit aggressive. From everything I've read and everything I feel, authenticity in midlife is about becoming oneself. Perhaps there are people who feel more themselves glammed up and acting fierce. I just can't identify. This was a really fascinating post, Leanne. I hadn't heard of this group. Thanks for your thoughts about it. I feel the same way Karen - I wasn't glamorous when I was 20 or 30 and I certainly don't want to be now I'm in my 50's. Having all those women posting pictures and complimenting each other on their beauty was just not something I could relate to on any level - it actually left me feeling annoyed at how shallow it all seemed. Things may have changed with the movement, but for me at the time it was a turn off rather than a rally cry. I'm with you on this Min - it's not about having the body or looks of a goddess, it's about inner peace and finding who you are as a person and being the best you can as that person. Society gets so focused on the physical and seems to have forgotten about the inner person. Leanne I have to admit that I hadn't heard of the Fierce 50 Campaign until I read this post. I really don't like the word and even though I'm a strong person, I could never imagine identifying myself as fierce. I checked out the Facebook group. It really reminds me of a women's magazine - all shiny and perfect. I can understand why you didn't really feel you got in there. I don't think it's for me either. I'd rather be known as strong but authentic and compassionate. There definitely needs to be more words to describe this stage of life where we're rediscovering ourselves and building on the foundation that's already in place, but not necessarily being upfront and full-on. I just couldn't relate to the perfection and physical focus in the group - I'm way more laid back than that these days. I struggle with the compassion trap as well. I have moments that I am definitely fierce, but I do like my more mellow side too. I would hope we all have a little bit of fierceness in us Cherie - we needed it as mothers and we need it now to defend against stuff we don't like. Maybe my fierceness was already ingrained enough that adding more to it by becoming a 20 year old again just didn't resonate with me? I don't think we need to be "fierce" after 50. Just be ourselves. Post-50 is the time to be supportive of youngsters, and help them. We should also be engaged in something constructively; so that we don't idle away our time and energy. It's also the time to catch up with everything that we couldn't do when we were busy chasing commitments in our career and family. You said that really well Pradeep - investing into the next generation rather than competing with them is another key factor in Midlife. We don't need to be looking young and focusing on fighting the aging process - we need to accept it and make the most of this Midlife age and stage. I totally agree with you...I am me as well...I love to follow some of those women, but I will never look like they do in the clothes they wear on their posts as age hasnt been as kind to my body..Not that I dont like to look nice, as I do enjoy dressing up, but I am a more casual type and always make an effort to look good doing my hair and some makeup...I am still trying to find my place in this stage of my life, its been a real battle for me to accept I am not the person I thought I would be at this age and trying to find who that is and be comfortable with it.. I think that's the case with a lot of us in Midlife - we start looking at the person we've become and how we're going to stay true to ourselves and at the same time not end up stagnating. I don't think being fierce and glamorous is how I want to embrace this stage - I want to be casual and laid back and happy. I want to be vibrant and fulfilled and happy but I don't use the word fierce to describe myself. Fierce has an edgy attitude that I do not possess. I am also not in the least bit competitive. I don't know the group, but it probably isn't my tribe. I love "bvibrant and fulfilled and happy" Michele - they sound much more like what I'm aiming for than "fierce" does too. Great post...I'll be 71 this year and feel like I'm 55-60 or so. No way would I fit into that group. I've never been fashionable, stylish, etc - I've just been me! I'm becoming more "me" every day Donna - and that "me" didn't fit the ethos of the fierce 50 revolution - so I quietly exited Stage Right. At 50 or 15 or any age, I can't identify with women who are that focused on their exterior! I've always been reasonably fit and stylish, but there's always been so much more to me than that! And the word 'fierce' does not speak to me at all. I'm the same Jean - I want to look nice, but more than that I want to BE nice - it means more to me to develop my inner qualities than it does to become fierce and try to prove that I'm out there shouting for the revolution. I really enjoyed reading your thoughts Leanne and those of your followers. It’s an interesting question!! I like the thought of being more aware and involved as I age but I don’t want to be necessarily fierce while I do it! I’m not into all the preening that goes on sometimes but I do want to look nice and age as well as I can. Very thought provoking and well written. It's a fine balance isn't it Deb? 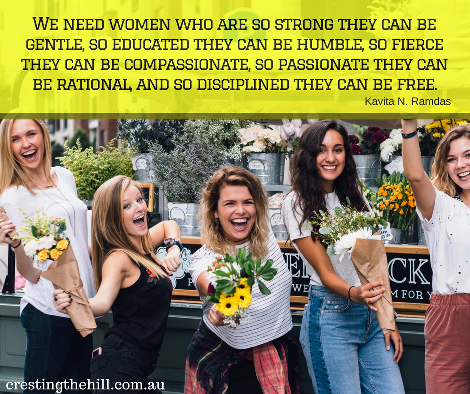 The idea of making the most of ourselves - but at the same time acknowledging that we don't need to compete on the same playing field as younger women. We are in a league of our own and don't need to be in-your-face fierce to prove it. Compared to times past we are blessed to be able to overcome a lot of health problems that used to prematurely age people. We now have knowledge how to change our lifestyles for the better.I am thankful for the people who speak up and throttle the ageism culture. I am thankful for people like you, Leanne, who resist being shallow and are strong enough to think below the surface. Who give us courage to be ourselves and not living guilty because of others expectations of us. Strength of character is not judged by our exterior appearance. I can admire glamour but I respect what is in the soul. I love all the comments here from others and we will feature this post in the next Blogger's Pit Stop. I'm so excited to have both my posts featured this week Kathleen! And yes you're right, external beauty is wonderful and something we should try to preserve, but focusing on our character and soul is so much more beneficial - at any age. To me that's more the type of woman I aspire to be too Janet -less "in your face" and more quietly knowing my worth. It's an interesting time of life - where we're looking to re-define ourselves, but not necessarily wanting to push ourselves too far into the territory of being hard and mean. Hi there, I check your new stuff daily. Your humoristic style is witty, keep doing what you're doing! Hi - I use Google's Blogger with a custom template - it looks similar to a WordPress site but with no hosting fees etc. I am def. a more mellow soul. At 52, I have little interest in makeup and my idea of fashion is whatever doesn't itch ;). And I'm totally at peace with that!